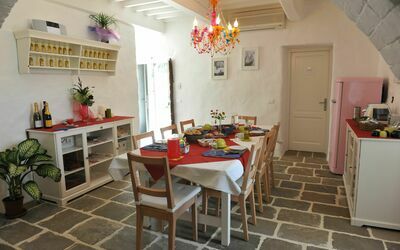 Vacation rental B&b Poggio Del Drago is a lovely property (15 sq m) that includes air conditioning, WiFi internet and private pool. 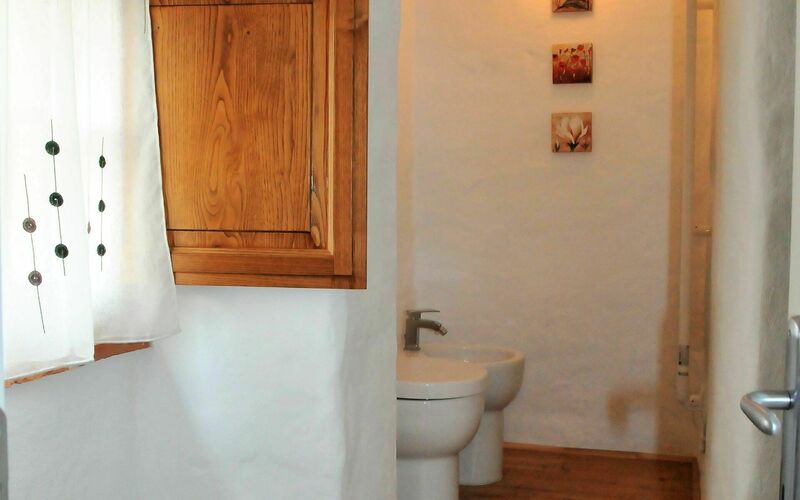 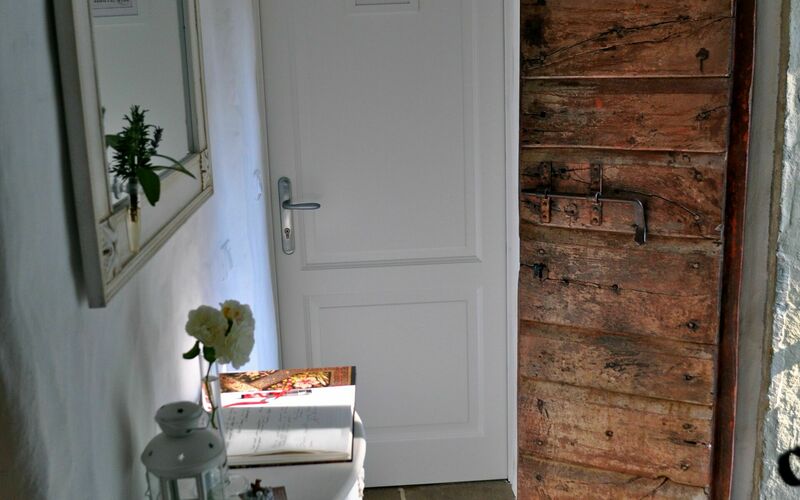 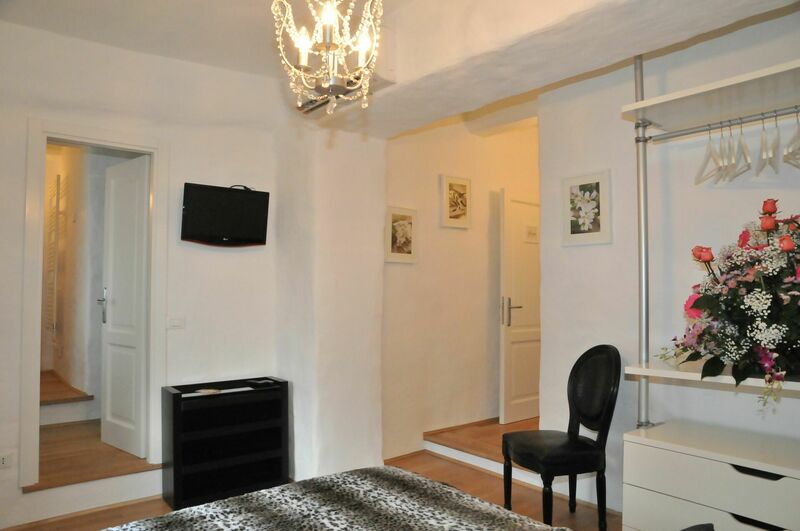 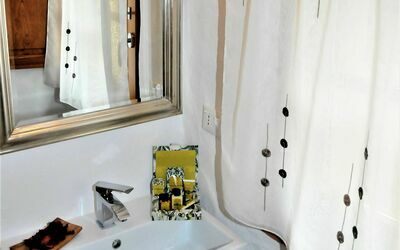 The property can sleep up to two guests comfortably in one bedroom with one bathroom. 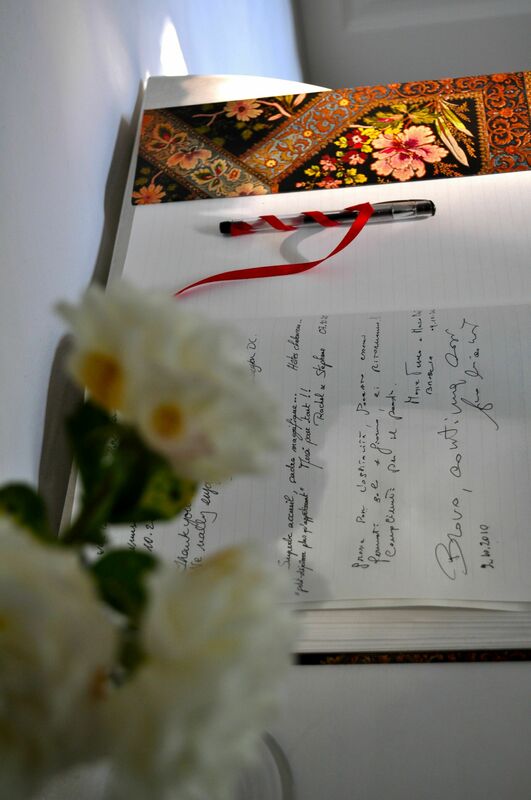 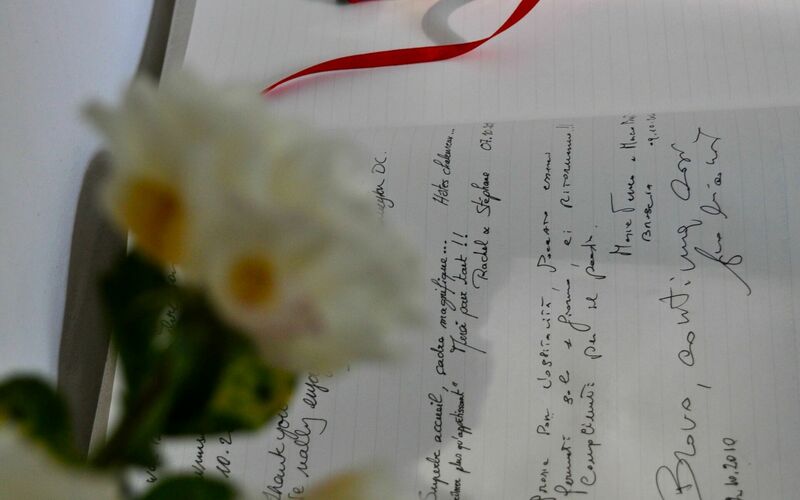 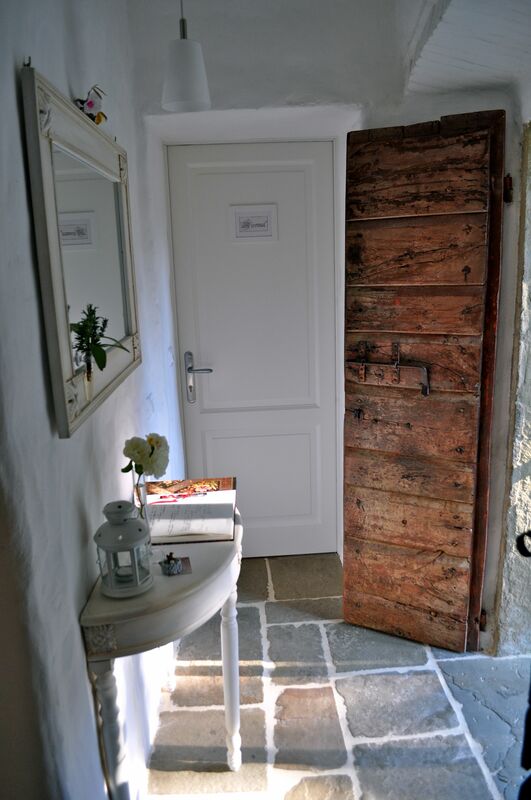 B&b Poggio Del Drago is located near Ponticino, Italy in the tourist area "Arezzo And Surroundings". In nearby towns there are local shops where you can find fresh produce and other items. 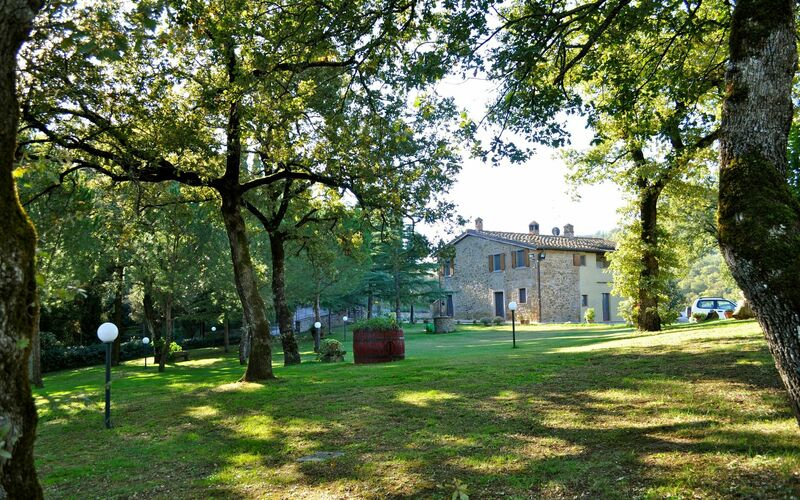 If you can't find what you need locally, there is a shopping center located 11 km (7 mi) from the property where you can purchase your groceries and essentials. 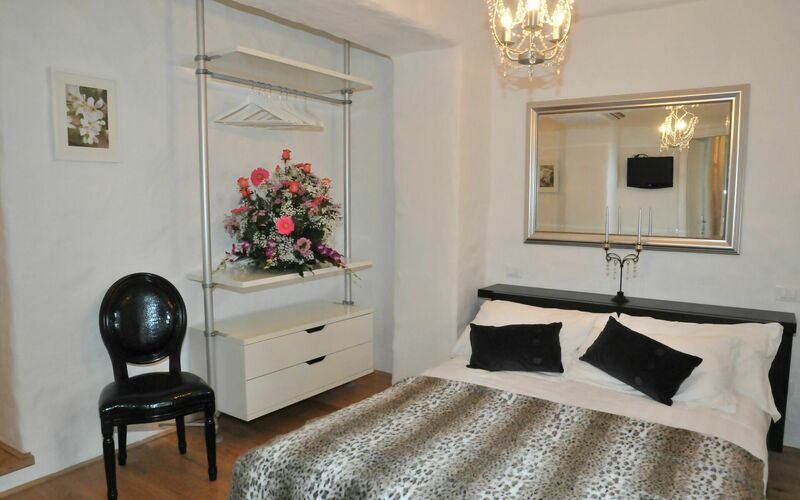 The B&B Poggio Del Drago is composed by a total of 5 bedrooms each with en-suite bathroom. 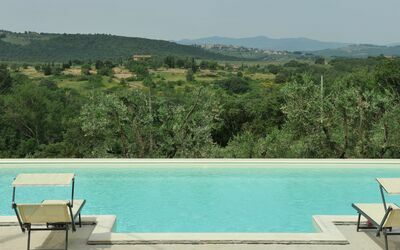 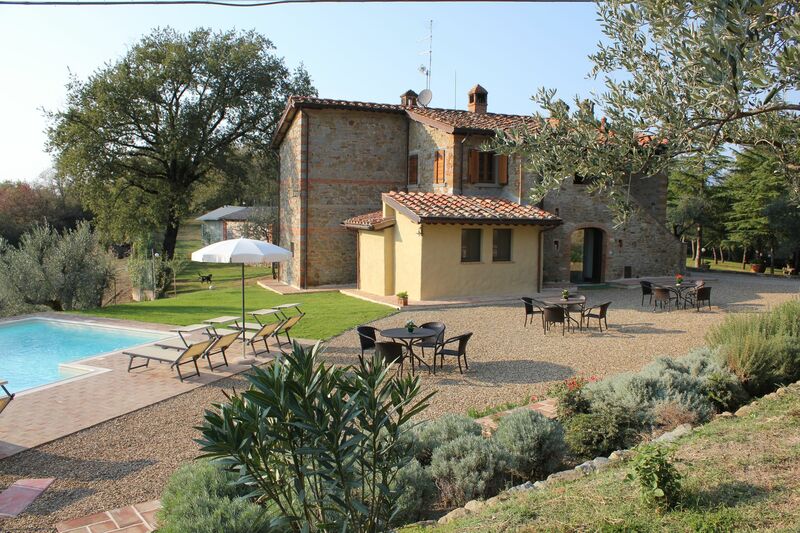 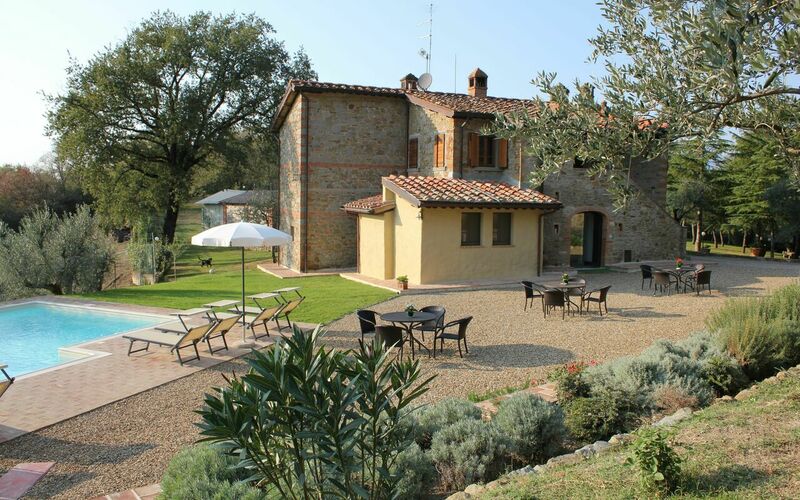 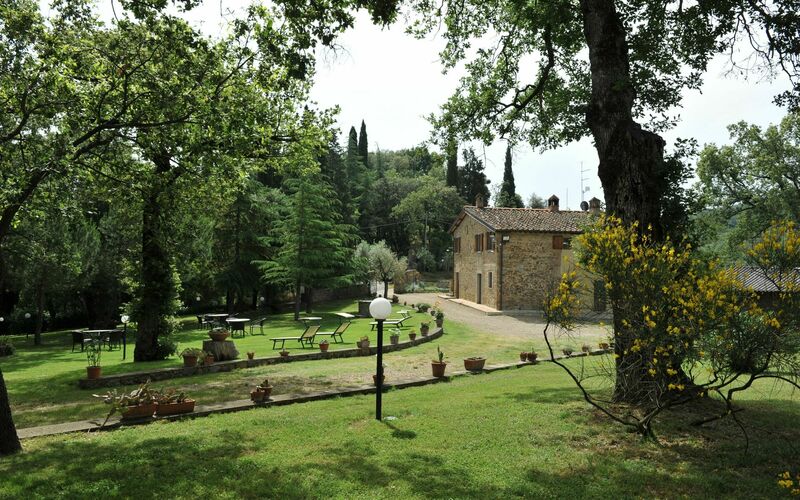 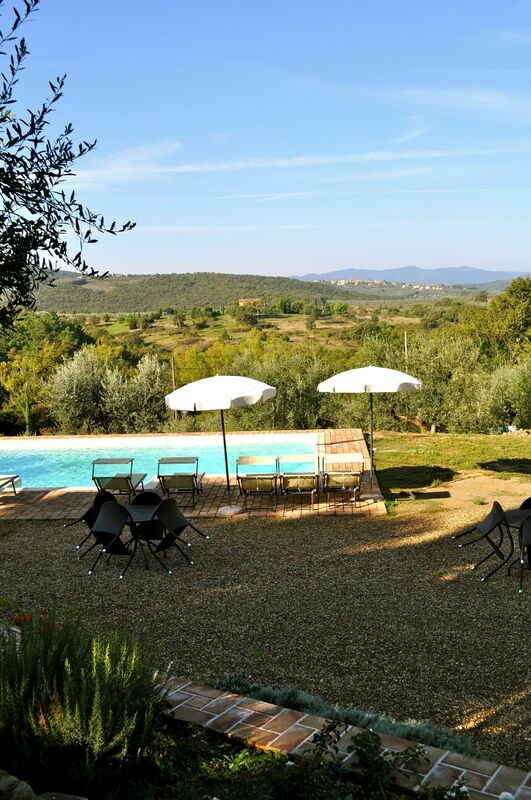 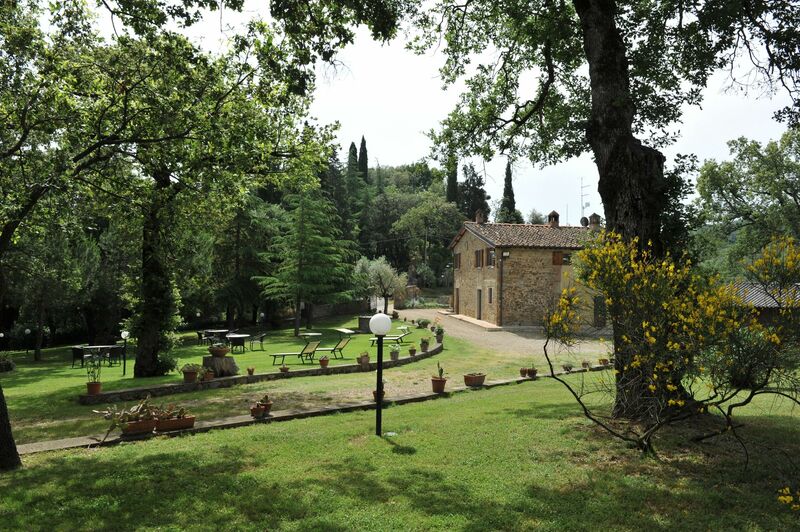 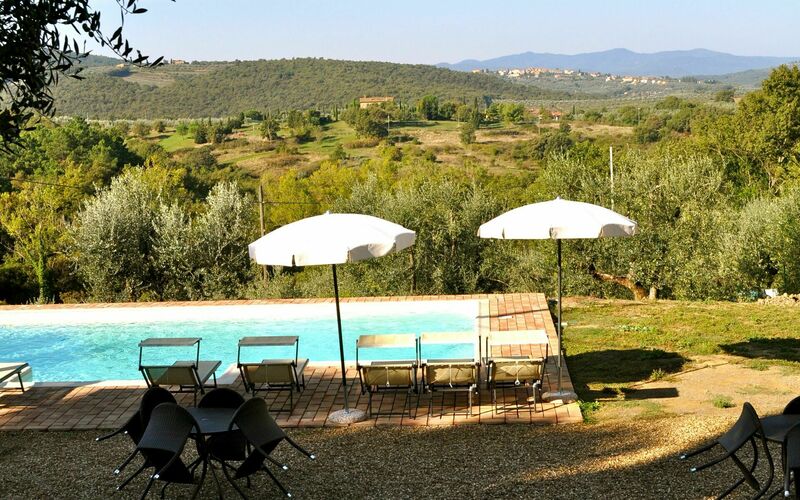 After arriving you’ll find a beautiful clean well-maintained property ideal for a relaxing holiday in Tuscany. 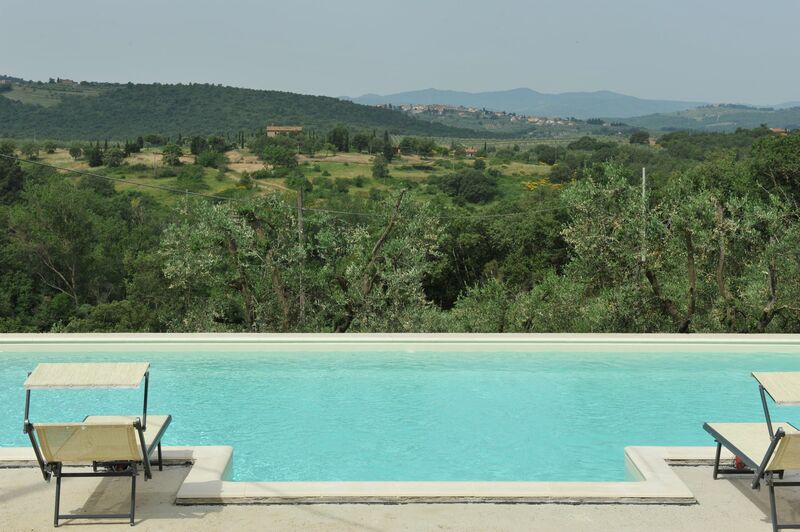 After a hectic day of visiting museums, spend some time with friends and family poolside enjoying a glass of wine - a perfect way to unwind at the end the day. There are many nearby cities and towns that you can visit while on holiday, each one with its own history and culture that you can enjoy during your stay. The highway is only 6 km (4 mi) from the villa and there is a train station 1 km (760 ft) away. 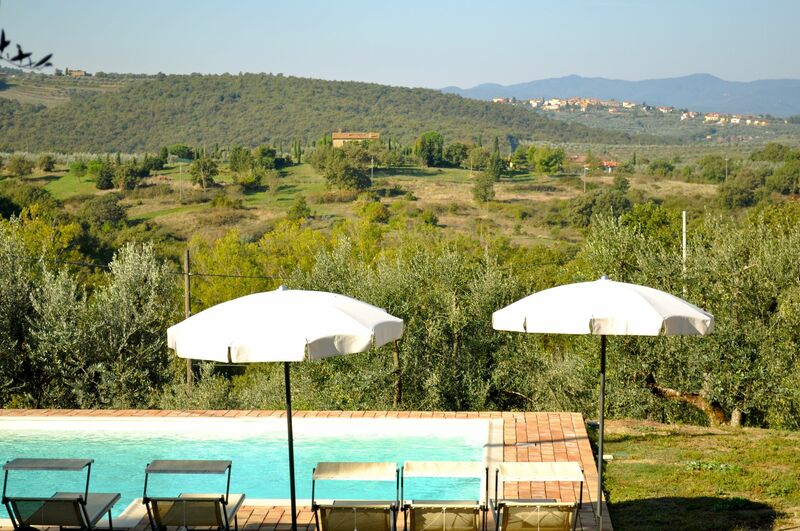 Nearest Airports: Firenze Peretola (Flr) 85 km (53 mi), Pisa (Psa) 145 km (90 mi), Bologna (Blq) 169 km (105 mi), Roma Ciampino (Cia) 239 km (148 mi) and Roma Fiumicino (Fco) 251 km (156 mi). 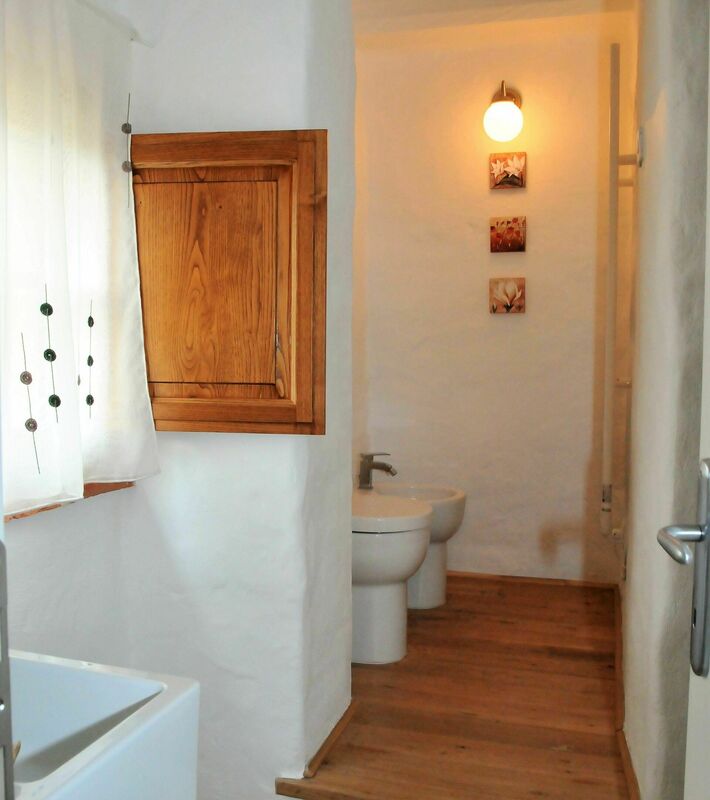 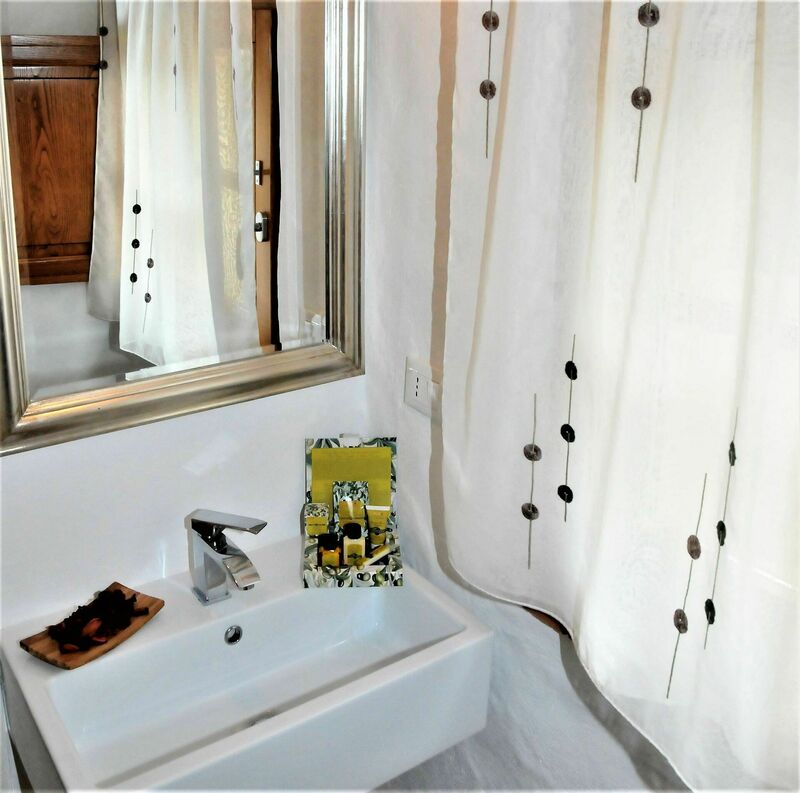 Including: bedroom + ensuite bathroom. 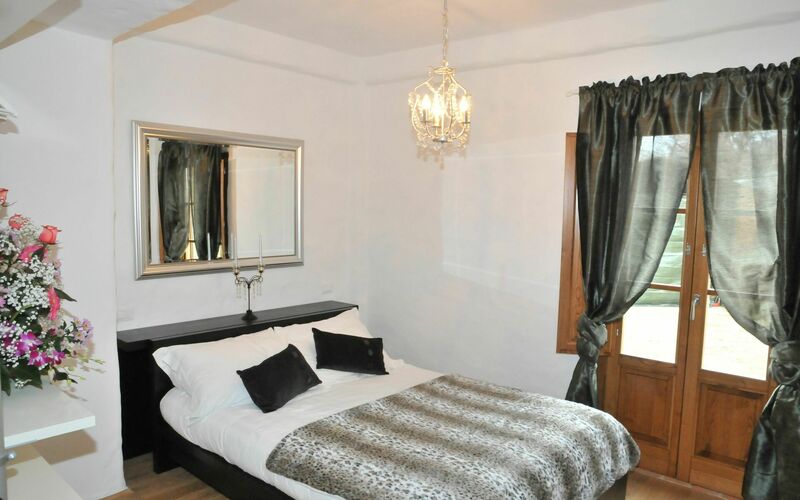 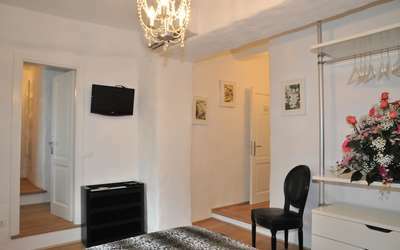 Bedroom + Ensuite Bathroom: double bed, WIFI internet, television, basin, toilet, bidet, shower, hairdryer. 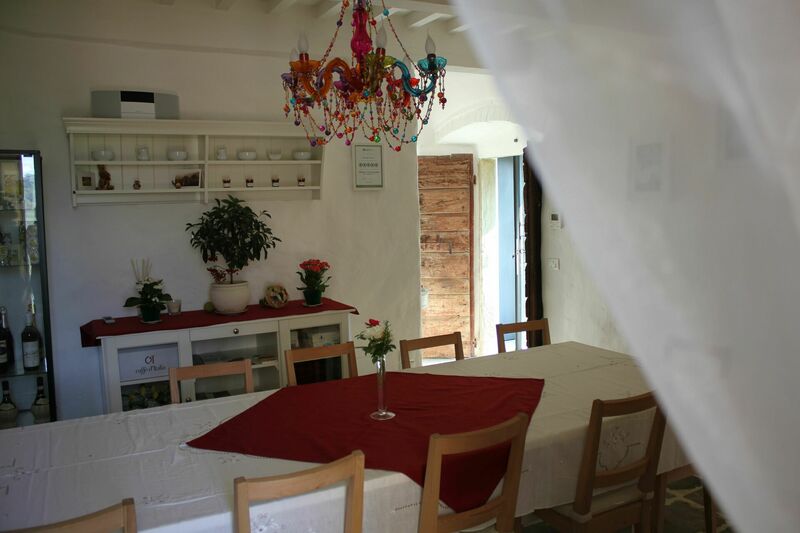 Available to all guests: dining room, solarium, garden, parking space. 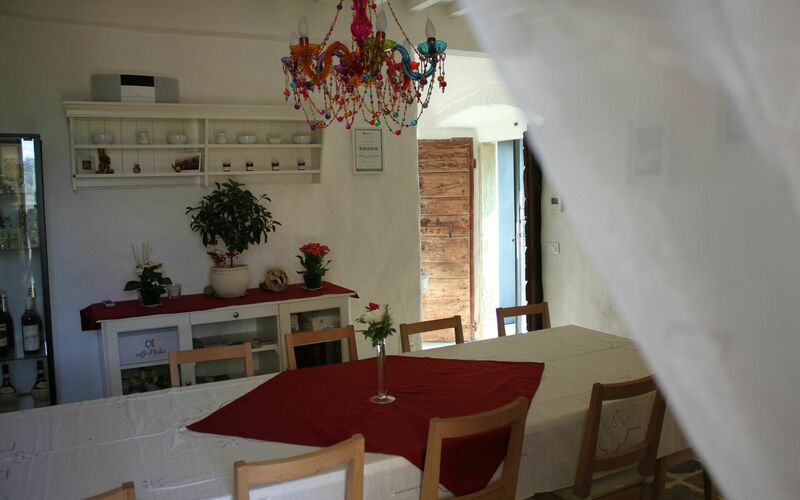 Dining room (25 m2): dining table (people: 12), air conditioning, WIFI internet, mosquito net, exit to the veranda. Solarium (25 m2): WIFI internet, garden furniture, 12 sunbeds. 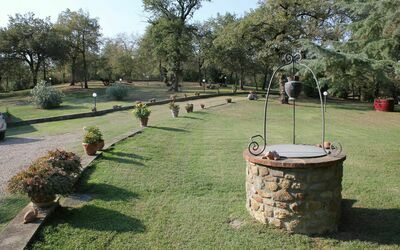 Garden (1000 m2): swimming pool, shower, WIFI internet, gazebo, garden furniture, sunbed.